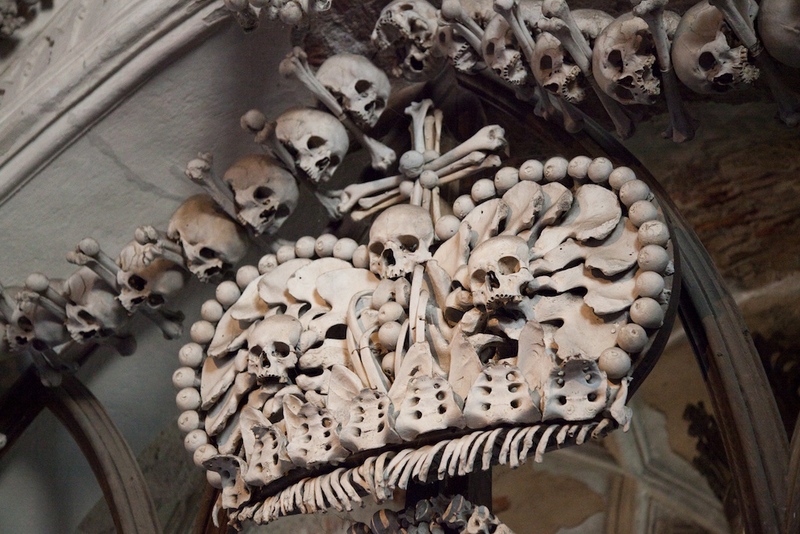 The Sedlec Ossuary is a small Roman Catholic chapel, located beneath the Cemetery Church of All Saints in Sedlec, a suburb of Kutná Hora in the Czech Republic. 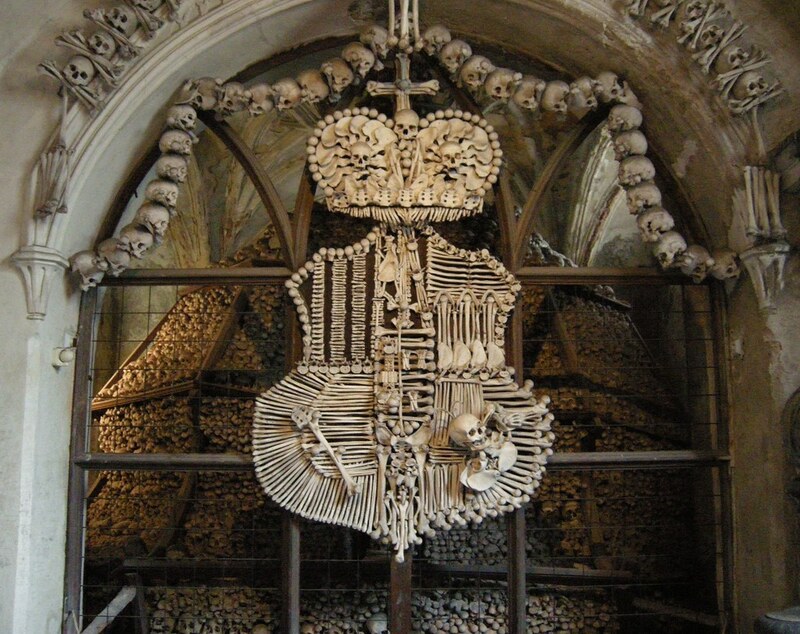 The ossuary is estimated to contain the skeletons of about 40,000 people, whose bones were artistically arranged from 1870 onwards by a Czech woodcarver by the name of Frantisek Rint. 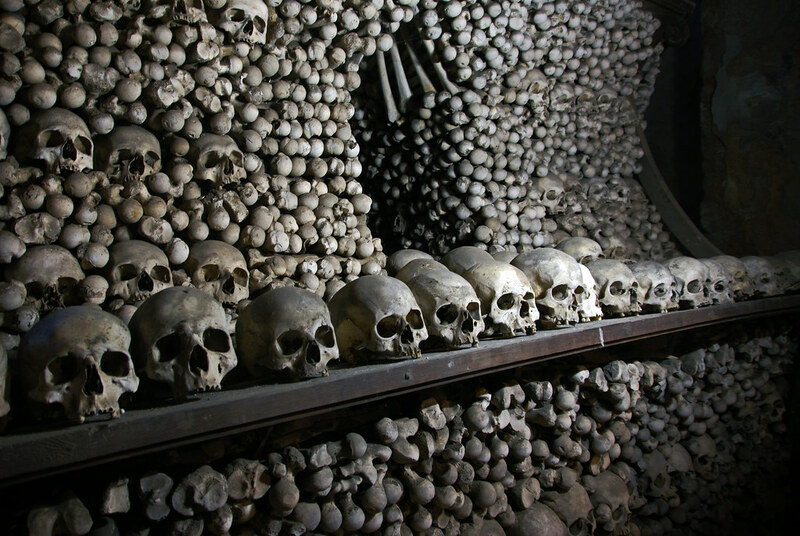 The ossuary is among the most visited tourist attractions of the Czech Republic, attracting over 200,000 visitors yearly. 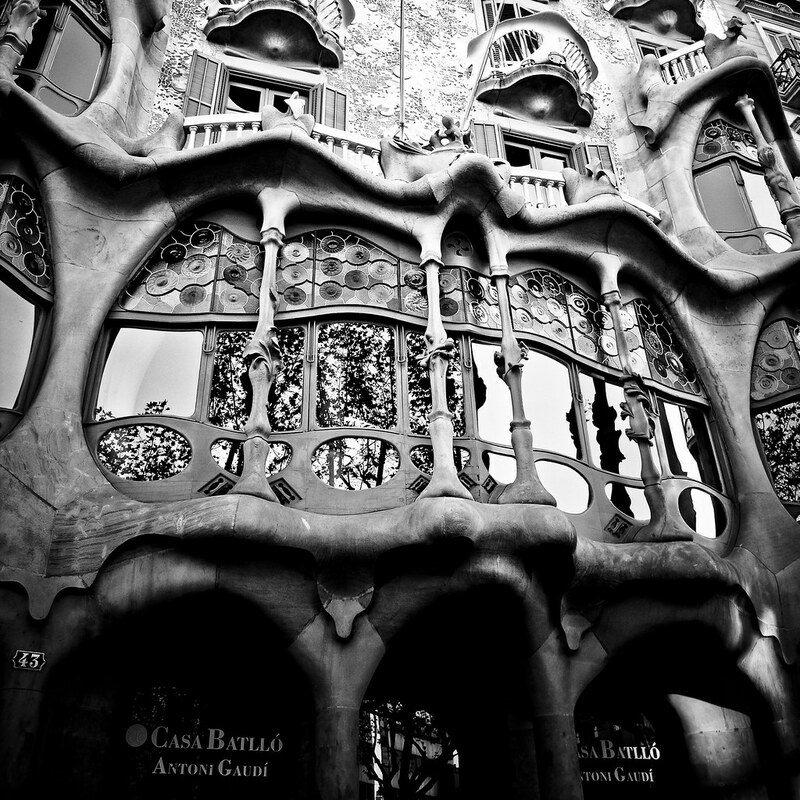 Below you will find pictures of this unique place along with the history of the church and visitor information. 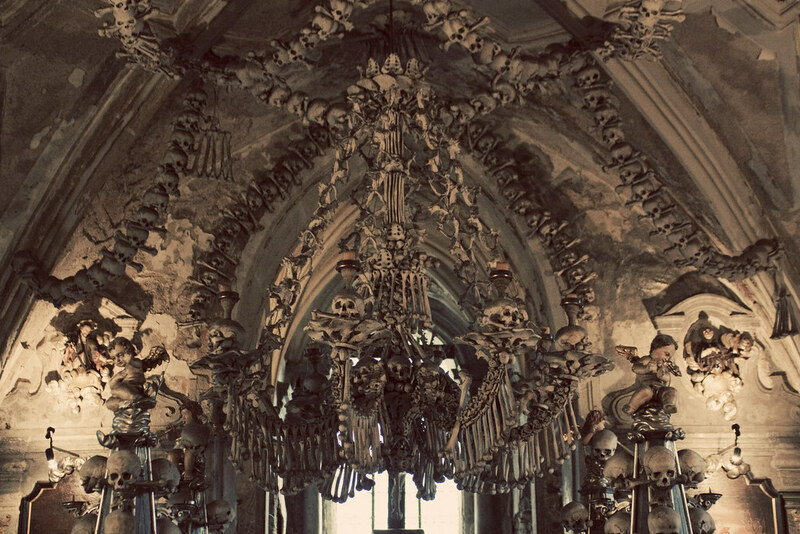 An ossuary is a chest, building, well, or site made to serve as the final resting place of human skeletal remains. They are frequently used where burial space is scarce. 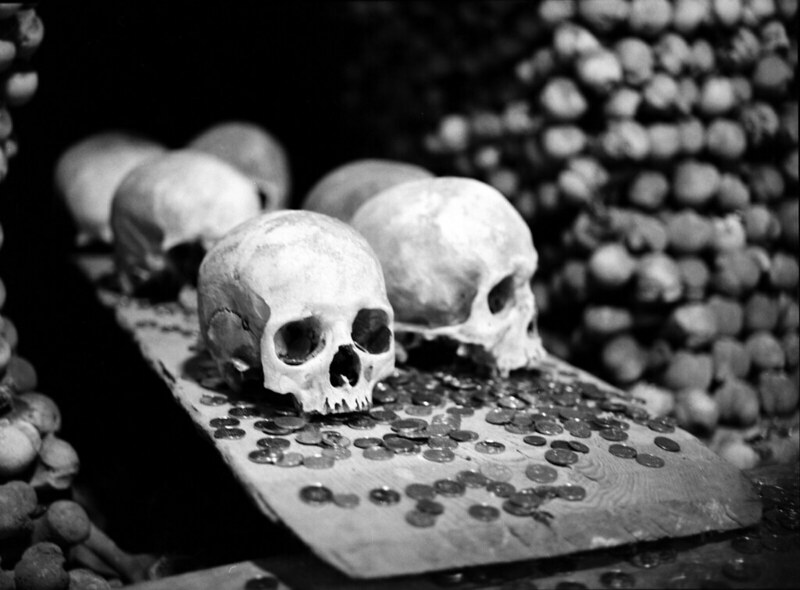 A body is first buried in a temporary grave, then after some years the skeletal remains are removed and placed in an ossuary. 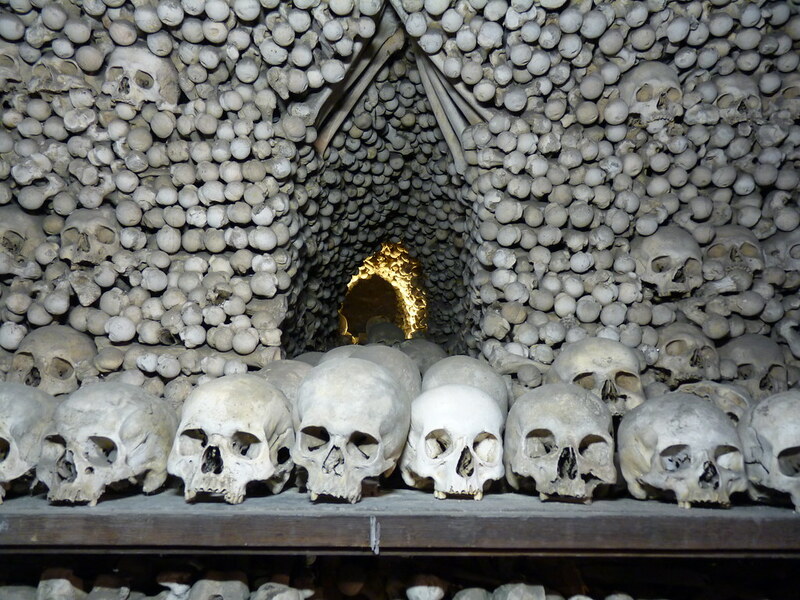 The greatly reduced space taken up by an ossuary means that it is possible to store the remains of many more people in a single tomb than if the original coffins were left as is. 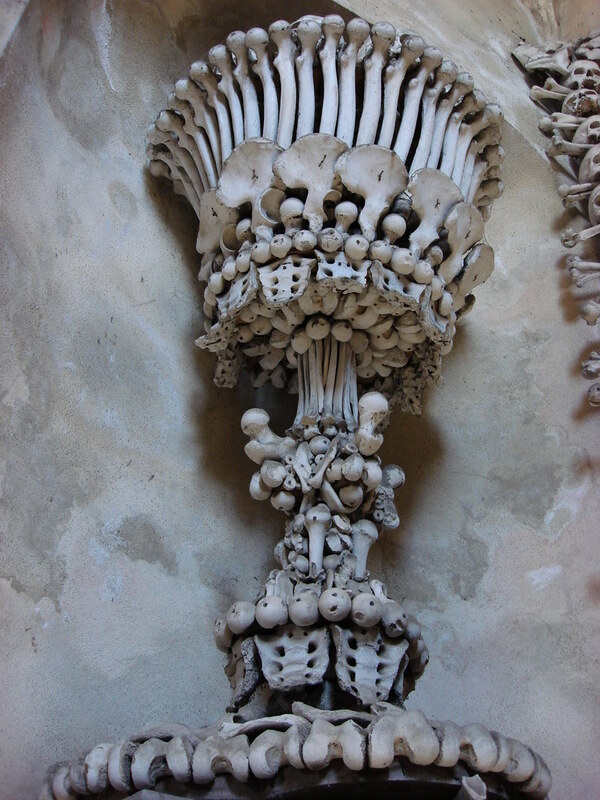 In addition to the Sedlec Ossuary, there are many examples of ossuaries are found within Europe such as: the Santa Maria della Concezione dei Cappuccini in Rome, Italy; the San Bernardino alle Ossa in Milan, Italy; the Skull Chapel in Czermna in Lower Silesia, Poland; and Capela dos Ossos (Chapel of bones) in the city of Évora, in Portugal. In 1142 a Cistercian monastery was founded in Sedlec. One of the principal tasks of the monks was the cultivation of the grounds and lands around the monastery. In 1278 King Otakar II of Bohemia sent Henry, the abbot of Sedlec, on a diplomatic mission to the Holy Land. When leaving Jerusalem, Henry took with him a handful of earth from Golgotha which he sprinkled over the cemetery of Sedlec monastery. 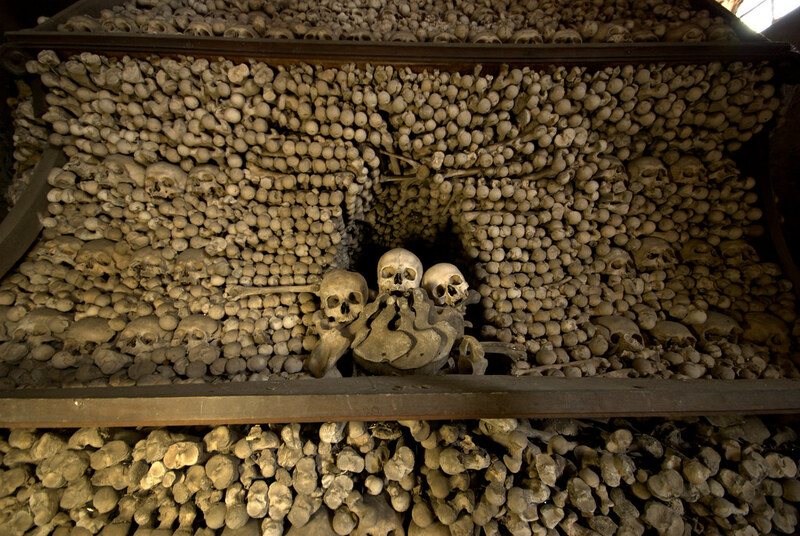 Because of this, the cemetery became famous, not only in Bohemia but also throughout Central Europe. 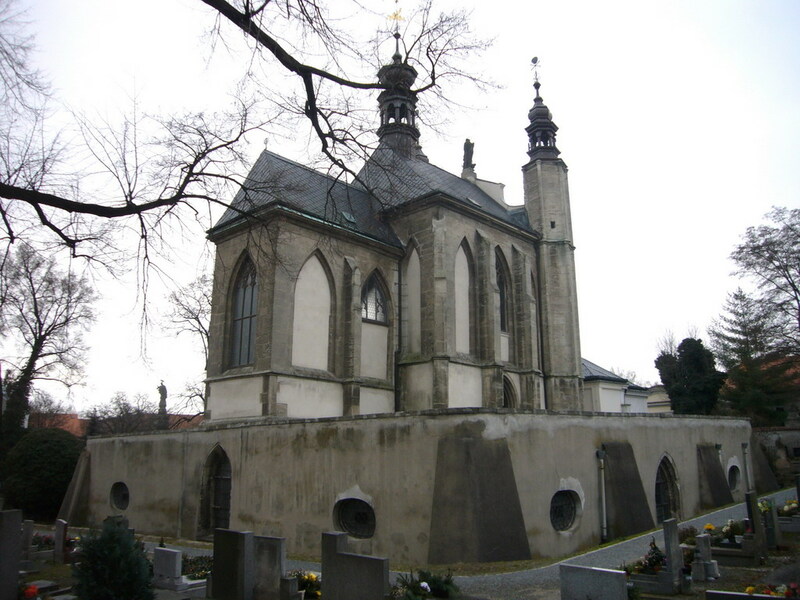 Many wealthy people desired to be buried here, and the burial ground was enlarged during the epidemics of plague in the 14th century (e.g., in 1318 about 30 000 people were buried here) and also during the Hussite wars in the first quarter of the 15th century. 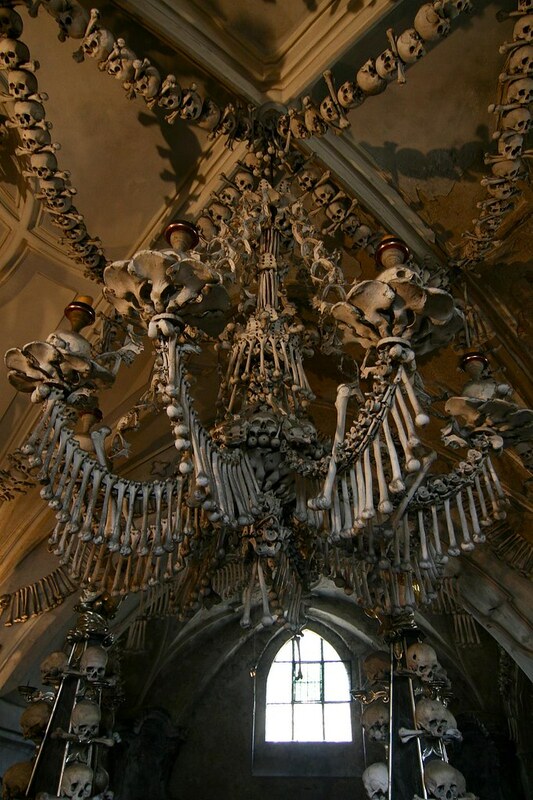 After 1400 one of the abbots had the Church of All-Saints erected in Gothic style in the middle of the cemetery and under it a chapel destined for the deposition of bones from abolished graves (i.e., the ossuary). 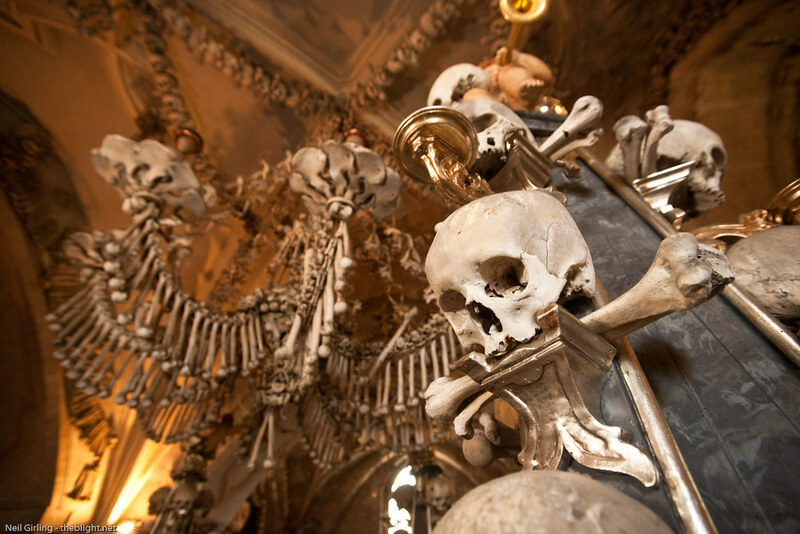 The present arrangement of the bones dates from 1870 and is the work of a Czech woodcarver by the name of Frantisek Rint.